In his book Making Musical Choices, Richard Peck makes the following important observation about modern church music. “Aside from its commercialism and its increasing resemblance to the world, contemporary Christian music is becoming a religious melting pot. Some in the community admit that they are not believers. And while this is still an exception, CCM IS PROUD OF ITS ECUMENICAL AND CHARISMATIC SPIRIT. THIS ECUMENISM EXTENDS OPEN ARMS TOWARD APOSTATE PROTESTANT DENOMINATIONS AND THE ROMAN CATHOLIC CHURCH” (Making Musical Choices, Bob Jones University, 1986, p. 86). NOT ONE popular CCM musician that I know of stands against ecumenism and stands boldly for ecclesiastical separation. CCM is the music of ecumenical evangelism, as epitomized by Franklin Graham and Luis Palau crusades. Contemporary Christian Music is the music of ecumenical charismatic conferences, such as New Orleans ‘87, held in July 1987. I attended this meeting with press credentials. After four days of “renewal” choruses and Christian rock, it was obvious that CCM was the preferred music of the 35,000-40,000 ecumenical-charismatics in attendance. Approximately 40 different denominations and groups came together under one roof, including Episcopalian, Church of Christ, United Methodist, American Baptist, Evangelical Lutheran Church in America, Presbyterian Church USA, and dozens of others, including roughly 20,000 Roman Catholics. Roman Catholic priest Tom Forrest delivered the closing message and brought the mixed multitude to their feet when he called for unity. “We must reach the world,” he cried, “and we must reach it the only way we can reach it; we must reach it TOGETHER!” At those words the crowd became ecstatic, leaping to their feet, shouting, stomping, speaking in tongues, dancing. This same priest spoke at a conference I attended in Indianapolis in 1990 and said he is thankful for purgatory because he knows that he will not go to heaven except through that means. Obviously he does not believe in the once-for-all sufficiency of Christ’s atonement. At the book sales area in New Orleans one could purchase rosary beads and Madonnas to assist in one’s prayers to Mary. A Catholic mass was held every morning during the conference. The music that held all of this confusion together was CCM. Youth Explosion ‘87 was held at the same time, and 5,000 young people were bombarded with a steady diet of unscriptural teaching, ecumenism, testimonies by sports stars and entertainment figures, and “Christian” rock music. CCM is perfectly at home in the midst of such apostate confusion. The contemporary praise anthem “We Are One in the Spirit,” which became the “banner song of the Jesus Movement,” was written by PETER SCHOLTES (1938-2009), a Roman Catholic priest. He wrote the song in the 1960s while working as a parish priest at St. Brendan’s on the South Side of Chicago. In that capacity he worked with the modernistic Baptist preacher Martin Luther King. Scholtes’s motivation in writing the song was to find something that would fit a series of ecumenical events. The song has been sung by churches of every denomination and represents the ecumenical spirit that is creating the one-world church. When Pope John Paul II visited the United States in January 1999, well-known contemporary Christian musicians joined hands with hundreds of thousands of Catholics to welcome him. Featured at a Catholic youth rally connected with the Pope’s visit, were dc Talk, Audio Adrenaline, Rebecca St. James, and Jars of Clay (Music and Entertainment News, web report no longer available). The very popular JOHN MICHAEL TALBOT is a Roman Catholic who prays to Mary and believes in dreams and other forms of extra-biblical revelation. He became a lay “brother” in the order of Secular Franciscans in 1979 and lives in Little Portion Hermitage in Eureka Springs, Arkansas. This is the home of the Brothers and Sisters of Charity, “an integrated monastic community of families, celibates and singles” founded by Talbot. In his book Simplicity, Talbot stated: “Personally, I have found praying the Rosary to be one of the most powerful tools I possess in obtaining simple, childlike meditation on the life of Jesus Christ.” The Rosary is largely a prayer to Mary as the Queen of Heaven. In 1984 Talbot said: “I am also feeling the presence of Mary becoming important in my life. ... I feel that she really does love me and intercedes to God on my behalf” (Contemporary Christian Music Magazine, November 1984, p. 47). Talbot says: “Music is an extension of my life. When I became a Christian, my music became Christian music. When I became Catholic, my music became Catholic music” (B. Cole Bennett, “John Michael Talbot: An Encounter with the Counter-Culture,” Shout! magazine, February 1996). Talbot’s albums were the first by a Catholic artist to be accepted by both Protestant and Catholic listeners. In 1988, Billboard magazine reported that Talbot out-ranked all other male Christian artists in total career albums sold. “A Roman Catholic, I respect other Christians. We are especially close to those who value apostolic tradition as well as Scripture. But even in this we face further debates that are obstacles to complete Christian unity. THIS IS WHY THE CATECHISM OF THE CATHOLIC CHURCH INSISTS THAT SCRIPTURE, TRADITION AND MAGISTERIUM ARE NECESSARY FOR A FULLY UNIFIED PEOPLE. WE ROMAN CATHOLICS FIND THIS IN THE POPE AS BISHOP OF ROME, TOGETHER WITH THE BISHOPS OF THE CHURCHES IN FULL COMMUNION WITH ROME. This has theologically freed us to develop the greatest mystical and functional unity in Christendom. It has also given us an authority that enables us to enter into interfaith and ecumenical dialogue without defensiveness. ... May we all hear these ancient truths and experience real conversion of heart” (emphasis added) (John Talbot, “Our Fathers, and Our Divided Family,” New Covenant, September 1997, p. 21). There is room for Talbot’s apostate theology in the doctrinally confused world of Contemporary Christian Music. He is considered a brother in Christ and is welcomed with open arms, even in the face of God’s commands that we mark and avoid those who promote doctrine contrary to that taught by the apostles (Romans 16:17-18). Referring to the mixed crowds who attended his concerts in Catholic churches, Talbot said that he delights to see Protestants who never would have darkened the doorstep of a Catholic church come to one of his concerts. “All of a sudden they say, ‘Hey, I feel very much at home here. That doesn’t mean necessarily I want to be a Roman Catholic, but I feel very much at home worshipping God with other people who are not that different from me’” (John Talbot, quoted in “Interfaith Album Strikes Sour Note,” Peter Smith, Religious News Service, Dec. 8, 1996). Surveys show that 60 percent of Talbot’s listeners are non-Catholic. In 1996, Talbot produced an album jointly with fellow CCM performer MICHAEL CARD (who claims to be an evangelical). They also embarked on a concert tour which included concerts in eight cities, “with the audience mix estimated at 50 percent Catholic and 50 percent Protestant” (Charisma, December 1996, p. 29). In March 1996 they performed together for the largest gathering of Catholics in America at the Los Angeles Religious Education Congress. Roughly 20,000 “clergy and laity” attended this congress. Both men also spoke at the formation retreat for the Catholic Musicians Association. Talbot is the president of this new association. “The doctrine of purgatory clearly demonstrates that even when the guilt of sin has been taken away, punishment for it or the consequences of it may remain to be expiated or cleansed. They often are. In fact, in purgatory the souls of those who died in the charity of God and truly repentant, but who had not made satisfaction with adequate penance for their sins and omissions are cleansed after death with punishments designed to purge away their debt” (Vatican II documents, Apostolic Constitution on the Revision of Indulgences, 3). Purgatory means to cleanse or purify. It is a plain and open denial of the perfect sufficiency of the atonement of the Lord Jesus Christ to take away all sin. The Bible says, “For by one offering he hath perfected for ever them that are sanctified” (Heb. 10:14). Rome has a faith, a baptism, and a church, but it is not the one we read about in the Holy Scriptures. Why, then, would Michael Card pretend that he and John Talbot are singing about the same thing? If Card believes Talbot’s faith is the one true faith, why does he not become a Roman Catholic? Of this ecumenical venture with Talbot, Card testified: “Doing this project has enabled us to become real friends. And along the way, THE DENOMINATIONAL LINES HAVE BECOME REALLY MEANINGLESS TO ME, AND TO JOHN, TOO” (CCM Magazine, July 1996). It is painfully obvious that doctrinal truth means nothing to these CCM performers. If Talbot really took his Catholic doctrine seriously, he would not yoke together with those who deny that doctrine, and if Card really took his Evangelical doctrine seriously he would not yoke together with a man who denies that doctrine. If the Pope is truly the Vicar of Christ and the head of all Christians, it would be wicked to deny it; but if the Catholic papacy is nothing but a man-made tradition, it is wicked to believe it. If Mary is truly the immaculate, ever-virgin Queen of Heaven, it would be wicked to deny it; but if the Catholic Mary is a demonic idol, it is wicked to believe it. If the Catholic priesthood really is ordained by God, it would be wicked to deny it; but if it has no authority from God and is merely a tradition of man, it is wicked to accept it. There is no middle ground here. There can be no fellowship between those who hold doctrines this diverse. The Bible says those who teach doctrine contrary to that which the Apostles delivered are to be marked and avoided (Romans 16:17). The Bible wisely asks: “Can two walk together, except they be agreed?” (Amos 3:3). In 1996, Talbot was instrumental in forming the CATHOLIC MUSICIANS ASSOCIATION to encourage Catholic musicians and to help them find a place in the more mainstream Contemporary Christian Music world. Talbot’s friend Michael Card performed at the formation meeting for the new association. Joining Talbot at the founding meeting in April 1996, were Tony Melendez, Dana, Susan Stein (an executive of Catholic-owned Heartbeat Records), Paulette McCoy (Oregon Catholic Press), Catholic church officials and professionals involved in marketing and publicity (Steve Rabey, “Association Formed to Support Catholic Music,” CCM Update, May 27, 1996). At the meeting, Stein said she “would like Protestants and Catholics to set aside what are basically petty differences” and she urged Evangelicals “to be a bit less judgmental and a bit more open to understanding” (Ibid.). You can be sure that Stein’s advice will be taken by the ecumenically-minded CCM crowd. The most prolific musician with Heartbeat Records is DANA. She performed for Pope John Paul II at World Youth Day in 1993, and has a album titled “The Rosary” which is about praying to Mary as the Queen of Heaven. Dana’s album “We Are One Body” is a call for ecumenical unity. Other Catholic musicians who move within Contemporary Christian Music circles are KATHY TROCCOLI, TOM BOOTH, SARAH HART, DANNY LANGDON, AND SHERYL CROW. The National Catholic Register mentioned all of these in an article in the March 8-14, 1998, issue, stating that they are using their music to “evangelize” Evangelical young people into the Catholic faith. “To me it’s very simple: if the world doesn’t see God’s love in us and our love for each other, they’re never going to want what we have. Our dogma and legalism strangle the love of Christ right out of us” (CCM Magazine, June 1997). This sounds good to many ears, and there is no doubt about the importance of Christian love; but it is impossible to obey the Bible without being deeply concerned about doctrine (“dogma”) and obedience to the details of God’s Word (“legalism”). Jude 3 explains that God has given one faith to His people, and that faith, as recorded in the New Testament Scriptures, is to be preserved and fought for until Jesus returns. It is absolutely impossible to obey Jude 3 and be ecumenical and non-judgmental at the same time. The chief thing which divides denominations is doctrine. Troccoli’s 1997 album, Love One Another, has an ecumenical theme: “Christians from all denominations demonstrating their common love for Christ and each other” (Dave Urbanski, “Chatty Kathy,” CCM Magazine, June 1997). The recording of the title song involved 40 CCM artists: Amy Grant, Gary Chapman, Clay Crosse, Sandi Patty, Michael W. Smith, Carman, Tony Vincent, Jonathan Pierce, Mark Lowry, Phillips, Craig and Dean, Aaron and Jeoffrey, Jaci Velasquez, Lisa Bevill, Scott Krippayne, Sarah Masen, Babbie Mason, Sara Jahn, Carolyn Arends, Vestal Goodman, Paul Vann, Billy and Sarah Gaines, Tim Taber, Sarah Hart, Peter Penrose, Janet Paschal, Beverly Crawford, Phil Joel of the Newsboys, Kevin Smith of dc Talk, Tai Anderson of Third Day, plus the members of Out of the Grey, Beyond the Blue, 4 HIM, Christafari, and Audio Adrenaline. The song talks about tearing down the walls of denominational division. “Look around the world today/ There is anger there is hate/ And I know that it grieves His heart/ When His people stand apart/ Cause we’re the only Jesus they will see/ Love one another, and live as one in His name/ Love one another we can tear down walls by His grace” (“Love One Another”). The broad range of participants who joined Kathy Troccoli in recording “Love One Another” demonstrates the ecumenical agenda of Contemporary Christian Music. The song witnessed Catholics, Pentecostals, Baptists, etc., yoked together to call for Christian unity. The New Testament repeatedly warns of widespread apostasy among those who claim to be Christians, yet the ecumenical movement ignores apostasy and calls for almost unqualified unity among professing Christians. While there is little doubt that God is grieved by some of the divisions among Bible-believing Christians, it is not true that the heart of God is grieved by all divisions within Christianity, because there are divisions He Himself has commanded. He has commanded that His people separate from those who follow doctrinal error. “… the gospel is preached in many Catholic churches, and the truth is known there. … Over the years, I’ve been a part of many nondenominational churches and denominational churches, but I have even a higher regard and respect for my Catholic upbringing, because I believe it planted the seeds of faith in me. And I read books that give me a greater understanding of the Catholic faith today. I’m not a practicing Catholic, but I believe that I’m a true believer who responds to the truth that is there. Because it’s ancient tradition; it goes way back. I think Martin Luther had some great ideas, and showed us that we’re saved by grace through faith, but he was a Catholic when he posted all that up! … I have great fellowship with my Catholic brethren today. I have some dear friends across the country that I’ve made. That’s a whole other subject; but I think when the Lord looks at his Bride, he doesn’t see the walls that we use to divide ourselves from each other. He sees one body, and that body is comprised of his children, those who he bought and paid for with his blood … I love the liturgy; I think liturgy with the Spirit is one of the most powerful ways of communicating the life of God to us” (Phil Keaggy, cited by Tom Loredo, “Phil Keaggy in His Own Words,” Way Back Home, December 1995). It is true that Catholicism can plant general seeds of faith in God that can sometimes be watered by the gospel, but to imply that Catholic churches preach the gospel is completely untrue. It is true that Martin Luther was a Catholic when he first made his protest against Rome, but he did not learn salvation by grace alone from Roman Catholicism. He learned it from the Bible IN SPITE OF Rome, and Rome quickly condemned him. Rome’s Council of Trent, which responded to Luther, boldly cursed anyone who says that salvation is by grace alone through faith alone by the blood of Christ alone without works or sacraments, and Trent has never been rescinded. Any Catholic church that preaches the true gospel that salvation has nothing whatsoever to do with works or sacraments (and I don’t know of any) is preaching contrary to what Roman Catholicism teaches in its official proclamations. The Catholic Church plainly states that salvation is by grace PLUS works and sacraments. Not only does the Catholic Church deny the gospel of the grace of Christ by its formal declarations, but in many other ways, as well. The all-sufficiency of Christ’s once-for-all atonement is denied by the Catholic Mass, which alleges to be a continual re-offering of Christ’s sacrifice. The all-sufficiency of Jesus Christ is also denied by the Catholic priesthood, which alleges to stand between the believer and Christ. The all-sufficiency of Christ is further denied by the Catholic sainthood, which alleges to mediate between men and God. Keaggy says he loves the Catholic liturgy, but it is contrary to the Bible. There is no mass in the Bible. In fact, there are no sacraments in the New Testament Scriptures. Sacraments are supposed to be channels of grace, but the ordinances of true New Testament churches (believer’s baptism and the Lord’s Supper) are not channels of grace but are symbols and simple reminders only. Grace comes directly to the believer from Jesus Christ through the Holy Spirit. Christ said, “Come unto ME” (Mat. 11:28; 19:14; Jn. 6:35,37; 7:37). Keaggy discounts the importance of sound doctrine when he says that God does not see differences between churches and denominations. The Lord Jesus Christ warned that there would be many false teachers who would lead many astray from the truth (Matt. 7:15). He warned that as His return draws nearer, false teachers would increase (Matt. 24:11,24). The Apostles likewise warned of a great apostasy or turning away from the true New Testament faith, of the rise of many false teachers, of the creation of false churches, of false christs, false gospels, false spirits (2 Cor. 11:1-4; 1 Timothy 4; 2 Timothy 3-4; 2 Peter 2; 1 John 2,4; Jude; Revelation 17). If God sees all denominations as a part of His one body, where are the false teachers? Where are the false churches? Where is the spirit of antichrist? Where are the false christs, gospels, spirits? “I’m just pro-Jesus. I’ll go into any church where His name is honored. I don’t know where it will take me. I just know that Christians need to love each other” (Phil Keaggy, cited by Dave Ubanski, “Fret Not,” CCM Magazine, Nov. 1998, p. 36). This sounds good to many, but Keaggy ignores the Bible’s warning that there are false christs (2 Cor. 11:3-4). The “Jesus” honored by many churches is an unscriptural Jesus, and the Bible warns that God’s people are not to fellowship with these (2 John 10-11). Christian love is important, but the Bible says that true love is obeying God’s commandments (1 John 5:3). “I think also the unity that is so necessary in the body of Christ is important. I admire Charles Colson. He got a lot of flack for writing the book, The Body, and being associated with Catholics. I was raised Catholic and my mother’s influence was powerful in my life. I came to the Lord when she passed away. She sowed the seeds in my life for me to become a believer. There are divisive voices out there. People who thrive on disunity are the ones [to whom] you’ve got to say, ‘I’m not going to contend with this, I’m not going to argue, I’m just going to go about my business’” (“Saran E. Smitha and Christine Pryor, “Integrity Times Two: Michael Card and Phil Keaggy,” National Religious Broadcasters, July-August 1995). The Christian life would be much simpler if one could follow Keaggy’s advice and not get involved in contentions about doctrine and Christian living, but faithfulness to the Word of God does not allow it. Keaggy says he is not going to “contend,” but God requires that His people “earnestly contend for the faith once delivered to the saints” (Jude 3) and reprove the unfruitful works of darkness (Ephesians 5:11). Obedience to such commands does not allow me to follow Keaggy’s compromising advice. Keaggy’s unscriptural ecumenical philosophy and anti-fundamentalist attitude is perfectly at home in the world of Contemporary Christian Music. MICHAEL W. SMITH performed at the Catholic-sponsored World Youth Day in Denver, Colorado, in 1993. Smith and guitarist-songwriter BILLY SPRAGUE performed with Catholic Kathy Troccoli at a concert in November 1985 in Tampa, Florida. The concert was sponsored by Youth for Christ and the First Assembly of God of Clearwater, Florida (St. Petersburg Times, Florida, Religious Section, Nov. 9, 1985, p. 3). Smith also wrote the foreword to Brennan Manning’s The Ragamuffin Gospel, which is published by Multnomah Press. Manning is a Roman Catholic who attends mass. Smith’s 1998 single “Live the Life” was “inspired by the life of the Catholic St. Francis of Assisi” (“New Releases October 28, 1997,” Christian Music Online, [link removed, website no longer active]). In the Fall of 2009, Michael W. Smith toured with the Roman Catholic Matt Maher on the New Hallelujah Tour. In 1994 the Catholic St. John’s University gave its highest award, the Pax Christi, to AMY GRANT (Houston Chronicle, May 7, 1994). Pax Christi is the radical International Catholic Peace Movement. MARGARET BECKER claims to have had a religious experience which has made her more appreciative of her Roman Catholicism. In a 1994 interview she said she began mixing faith with her music and gained a greater appreciation for her own faith, Catholicism. “Now, I’m taking that knowledge with me back to the church of my youth.” Becker declared: “The familiar prayers and practices are very rich and touch me in a different, more intimate way” (The Fundamentalist Digest, May-June 1994). She is ecumenical and moves in a wide range of denominational forums. For example, she was scheduled to appear at the First Assembly of God in Warrenton, Virginia, in September 1993. That same month she was featured in a “Margaret Becker Youth Fest” at a large Baptist Bible Fellowship church, Riverdale Baptist Church, Riverdale, Maryland. She was scheduled to appear at a Church of Christ in Converse, Indiana, in March 1994. The very popular SANDI PATTY moves freely in ecumenical circles. She has entertained audiences as diverse as Billy Graham crusades, Jerry Falwell meetings, Southern Baptist Convention annual conferences, and Pope John Paul II masses (she performed at a papal mass in Los Angeles in September 1987). SHEILA WALSH frequently “performs” in ecumenical settings. Together with roughly 20,000 Roman Catholics, she participated in the North American Congress on the Holy Spirit & World Evangelization in New Orleans in 1987. When Pope John Paul II visited the United States in January 1999, many well-known contemporary Christian musicians joined hands with hundreds of thousands of Catholics to welcome him. Featured at a Catholic youth rally connected with the Pope’s visit, were DC TALK, AUDIO ADRENALINE, REBECCA ST. JAMES, JENNIFER KNAPP, THE WS, AND THE SUPERTONES (CCM Magazine, April 1999, p. 12). According to Music and Entertainment News, JARS OF CLAY was also scheduled to appear, though other reports did not mention them (Music and Entertainment News, [link removed, website no longer active]). Knapp said she was excited about joining the Pope to “build on the unity of faith” (CCM Magazine, op. cit.). dc Talk’s Kevin Max praised the Catholic youth for coming out to hear the Pope, describing John Paul II as “someone with something of substance to say” (Ibid.). A large group of nuns and Dominican priests “danced with abandon” at the Supertones rock music. Each attendee received a rosary with instructions about how to pray to Mary. The VINEYARD CHURCHES, founded by the late JOHN WIMBER, have had a wide influence with their praise music. Wimber himself, who was the manager of the secular group, The Righteous Brothers, before his conversion, wrote many popular songs, and many of the Vineyard churches are noted for their influential music groups. Wimber frequently spoke on the same platform with Roman Catholic priests and apparently saw no serious problem with their doctrine. In 1986, Wimber joined Catholic priest Tom Forrest and Anglican Michael Harper at the European Festival of Faith, an ecumenical meeting in Birmingham, England. The Festival leaders and the 8,000 participants sent the Pope of Rome a message: “We are ready to join you in the united evangelism of Europe” (Australian Beacon, March 1988). Wimber was a featured speaker at the North American Congress on the Holy Spirit & World Evangelization in Indianapolis, August 1990. In that forum he joined hands with roughly 12,000 Roman Catholics, including many priests and nuns. A Catholic mass was held every morning. I was present at this conference with press credentials and heard Wimber speak. In October 1991, the Wimber conference in Sydney, Australia, featured Catholic priests Tom Forrest and Raniero Cantalamessa, as well as Catholic layman Kevin Ranaghan. Tom Forrest spoke at Indianapolis ‘90 and said he praises God for purgatory. Cantalamessa was the papal preacher at the Vatican. 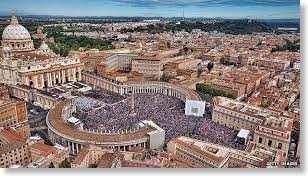 Ranaghan claimed that the Roman Catholic Church alone contains the fullness of God and truth and that the Pope is the infallible head of all churches. In spite of their heresies, these men were featured by Wimber as Spirit-filled men of God. In his church planting seminar Wimber said there is nothing scripturally wrong with the Catholic practice of seeking healing through relics: “In the Catholic church for over a 1,200 year period people were healed as a result of touching the relics of the saints. We Protestants have difficulty with that ... but we healers shouldn’t, because there’s nothing theologically out of line with that” (John Wimber, Church Planting Seminar). Wimber was not only open to Roman Catholic doctrine but actively encouraged the reunification of Protestants with the church of Rome. “During the Vineyard pastors’ conference, he went so far as to ‘apologize’ to the Catholic church on behalf of all Protestants ... He stated that ‘the Pope, who by the way is very responsive to the Charismatic movement, and is himself a born-again Evangelical, is preaching the Gospel as clear as anyone in the world today’” (Pastor John Goodwin, Testing the Fruit of the Vineyard, San Jose, Calif., citing John Wimber’s Church Planting Seminar, audio tapes, 5 volumes, unedited, 1981). In an article in the June 2001 issue of CCM Magazine, contemporary Christian musicians are quoted praising Mother Teresa. MARK LOWRY, who sings with the Gaither Quartet, said: “Diana and Mother Teresa were using their influence for good. One from a palace and the other from poverty. That’s what we all should do” (Gregory Rumburg and April Hefner, “The Princess and the Nun,” CCM Magazine, June 2001). RAY BOLTZ, who met Mother Teresa in 1996, was also quoted in the article. He said: “Mother Teresa was an example to us. When she started this ministry, she was a teacher. She felt God calling her to minister to the poor. At that time, for a woman to tell her superiors she was called to ministry—that was really out of the ordinary. I am impressed she did not go along with status quo, but followed the call of God. That is refreshing and different and part of why she stands out” (Ibid.). Neither Lowry nor Boltz had a word of warning about Mother Teresa’s false gospel that has caused multitudes to die with a false hope. BONO of U2, who is praised as a Christian by the CCM crowd, says that the older he gets the more comfort he finds in Roman Catholicism. “Let’s not get too hard on the Holy Roman Church here. The Church has its problems, but the older I get, the more comfort I find there ... murmuring prayers, stories told in stained-glass windows, the colors of Catholicism--purple mauve, yellow, red--the burning incense. My friend Gavin Friday says Catholicism is the glam-rock of religion” (Bono on Bono, p. 201). “In a previous post I expressed my my appreciation for the Baptist-produced Celebrating Grace Hymnal (2010) in light of the implications for receptive ecumenism of the Baptist practice of hymn singing that I noted in my 2010 Lourdes College Ecumenical Lecture (subsequently published as ”HOW BAPTISTS RECEIVE THE GIFTS OF CATHOLICS AND OTHER CHRISTIANS” in Ecumenical Trends 39, no. 6, June 2010, pp. 1/81-5/85). BAPTIST HYMNALS ARE ARGUABLY THE MOST SIGNIFICANT ECUMENICAL DOCUMENTS PRODUCED BY BAPTISTS. They implicitly recognize hymn writers from a wide variety of traditions throughout the history of the church as sisters and brothers in Christ by including their hymns alongside hymns by Baptists…[In addition to numerous] patristic hymns, Baptists receive through their hymnals the gifts of Francis of Assisi and Teresa of Jesus, Martin Luther, the post-Reformation Roman Catholic author of ‘Fairest Lord Jesus’ from the Münster Gesangbuch, the Methodist Charles Wesley, and more recently the Pentecostal pastor Jack Hayford, to name a few hymn writers whose ecclesial gifts Baptists have gladly received with their voices and hearts” (“Baptist Hymn Singing, Receptive Ecumenism, and the Nicene Creed” by Steven Harmon, published by Eric Wyse at HymnWyse, March 14, 2011). This statement reflects the spiritual blindness that permeates the contemporary praise music movement, and Bible-believing Baptist churches that are messing around with this music by “adapting it” are building bridges to this extremely dangerous world. DARLENE ZSCHECH of HILLSONG MUSIC is another example of the radical ecumenism that permeates CCM. One of Zschech’s themes is the importance of unity, which, of course, is the false ecumenical philosophy. For example, she makes the following comment about the album You Shine — “There is a new sound and a new song being proclaimed across the earth. It’s the sound of a unified church, coming together, in one voice to magnify our magnificent Lord” (from the album cover). She gives no warning about the fact that vast numbers of churches are apostate and that the Bible says that unity apart from doctrinal agreement is wrong. The New Testament warns repeatedly that the end of the Church Age will be characterized by apostasy and spiritual confusion rather than faithfulness to the truth (i.e. Mat. 24:3-4, 11, 24; 1 Tim. 4:1-5; 2 Tim. 3:13; 4:3-4; 2 Pet. 2:1; Jude 3-4). That is precisely what we see when we look at Christianity today. Yet, the authors of most of the modern praise music give almost no warning about apostasy. Zschech: You know, I had this vision a few years ago of how God saw the worshippers and worship leaders, linked arm and arm – the “musos,” the production personnel and everybody that is involved in the worship of God. There were no celebrities out in front. We were all together in the line just walking together. It was how I imagined God’s heart for what we are doing. We were all in line, and we were slow, but we were all walking around and we weren’t leaving anyone behind. We were taking everyone with us. But then I saw a picture of what it is like now, and although we were arm in arm, there was a struggle going on. People were running forward in pride while others were shrinking back out of insecurity. There was very little movement because of disunity. I think that means we’ve got to become strong people so that we can stand strong together. God says he will bless us, and when God says “blessing” it’s an out-of-control blessing, but that only comes when we are bound together. This is a vision of her own heart, because it is contrary to the Scriptures. The New Testament nowhere says that God’s blessing is out of control or that it only comes when professing Christians are “bound together.” To the contrary, the Bible says God’s blessing is always under control, always orderly, never confused. “For God is not the author of confusion, but of peace, as in all churches of the saints” (1 Cor. 14:33). “Let all things be done decently and in order” (1 Cor. 14:39). Paul instructed Timothy to allow “no other doctrine” (1 Tim. 1:3). That is an extremely narrow approach to doctrinal purity, but it is the apostolic example that we are to follow until Christ returns. This strict biblical attitude about doctrine is 180 degrees contrary to the philosophy of those who are creating the modern praise movement. They teach that the Holy Spirit cannot be “put in a box,” meaning we cannot be sure how He will act and that He can create disorder and confusion. They teach that doctrine is less important than unity. They teach that women can be leaders. These philosophies are in open and direct rebellion to the Word of God. In 2003, Zschech participated in Harvest ’03 in Newcastle, NSW, north of Sydney, Australia. The ecumenical rock concert, which featured U.S.-based evangelist Greg Laurie of Harvest Ministries, brought together a hodgepodge of churches, including Presbyterian, Assemblies of God, Anglican, Seventh-day Adventist, Church of Christ, and Roman Catholic (“Hunter Harvest -- Rock Evangelism,” [website no longer available]). A participating Assemblies of God pastor stated, “The bridge building going between churches has been awesome.” In reality, it was spiritual confusion and open disobedience to the Holy Scriptures (i.e., Mat. 7:15; Rom. 16:17; 2 Cor. 6:14-18; 2 Tim. 2:16-17; 3:5; 4:3-4; etc.). The Word of God commands us to earnestly contend for the faith once delivered to the saints (Jude 3), yet the aforementioned denominations hold each dozens of heretical doctrines that are contrary to that faith, including the false gospels of baptismal regeneration and sacramentalism, both of which are under God’s curse in Galatians 1. In a 2004 interview with Christianity Today, Zschech expressed her radical ecumenical philosophy: “I’ve been in the Catholic Church, in the United Church, the Anglican Church, and in many other churches, and when worship is offered in truth, this sound emerges-regardless of the style. It’s the sound of the human heart connecting with its Maker” (quoted by Michael Herman, “Zschech, Please,” christianitytoday.com, June 4, 2004). She doesn’t explain how worship can be in truth in the context of denominations that teach grievous doctrinal error. STUART TOWNEND is another one-world “church builder.” He is charismatic in theology and radically ecumenical in philosophy, supporting the Alpha program which bridges charismatic, Protestant, and Roman Catholic churches. In July 2012, Townend joined the Gettys and Roman Catholic Matt Maher on NewsongCafe on WorshipTogether.com. They played and discussed “The Power of the Cross,” which was co-written by Getty-Townend. The 10-minute program promoted ecumenical unity, with Maher/Townend/Getty entirely one in the spirit through the music. MATT REDMAN, one the most influential names in the contemporary worship movement, supports the Worship Central training school sponsored by Alpha International. Redman says, “Worship Central is a fantastic resource designed to uplift and inform worship teams everywhere” (www.worshipcentral.org). There is a Roman Catholic arm of Alpha. SANCTUS REAL and STEVEN CURTIS CHAPMAN played a concert in 2003 at St. Mary Seminary sponsored by the Roman Catholic Diocese of Cleveland, Ohio. Retired Catholic bishop Anthony Pilla celebrated the Mass at the event. Chapman told the Cleveland Plain Dealer that it’s “a good thing” that “the Catholic Church is showing a greater openness to contemporary Christian music” (Plain Dealer, Aug. 7, 2006). AUDREY ASSAD converted to the Roman Catholic Church in 2007. Like her fellow Catholic musicians Matt Maher, Kathy Troccoli, and John Michael Talbot, Assad is an ecumenical bridge-builder. She says that “the response to her music from Protestants is just as positive as it is from Catholics,” and, “radio has influenced and grown my Protestant fan base, which used to be more Catholic, but now it’s about half-and-half” (“Audrey Assad: A convert whose spiritual walk is a melody,” Catholic Online, Nov. 10, 2010). In a 2016 interview, Assad said that she is passionate about musical ecumenism and explains that it “disarms” people. “Ecumenism, true actual dialogue between different branches of Christianity, is absolutely one of my greatest passions, and so music is a great way to accomplish that. Christians of many different stripes can come together to sing worship songs with each other. It’s a good way to open up the potential of dialogue … And so I just think music is disarming. I think it paves the way for people to put down their weapons for a minute. ... So I'm just very intentional about making sure we remain in a conversation going to all different kinds of places” (“Audrey Assad Shares Her Inheritance,” JesusFreakHideout.com, Feb. 9, 2016). MATT MAHER (b. 1974) had a “profound awakening” through a charismatic Catholic group. This consisted of an emotional experience that he had while watching a skit “The Broken Heart” about a girl who gets a new heart from God after giving hers away to a young boy. “‘I was standing in the back of the room and I burst into tears,’ Maher remembered. Not long after, he started writing worship songs for the group’s prayer sessions and devoted himself to performing Christian music” (“Catholic Rocker Matt Maher,” Religion News Service, May 17, 2013). The skit did not present the biblical gospel, and Maher’s conversion was not a biblical conversion. It was a religious conversion that did not include repentance from error and rejection of Rome’s false christ and false gospel. Maher’s wife is Methodist, but they are raising their son “in the Catholic Church,” while also taking him to Methodist services “so he can experience both traditions” (Religion News Service, May 17, 2013). David Wang says Maher is “one of the most successful Catholic artists to cross over into mainstream Christian rock and find an audience among evangelicals” (“Catholic Rocker Matt Maher,” Religion News Service, May 17, 2013). Maher led worship for Pope Benedict XVI’s visit to the Rally for Youth in April 2008. Maher says, “The arms of St. Peter’s are really big” (Religion News Service, May 17, 2013). THIRD DAY and TOBYMAC performed for the Roman Catholic Youth Rally in 2011, which featured Pope Benedict XVI and a Catholic mass during which a piece of bread allegedly became Jesus. In July 2012, KEITH AND KRISTYN GETTY joined Roman Catholic Matt Maher on NewsongCafe on WorshipTogether.com. They played and discussed “The Power of the Cross,” which was co-written by Getty-Townend. The 10-minute program promoted ecumenical unity, with Maher/Townend/Getty entirely one in the spirit through the music. Major doctrinal differences are so meaningless that they are not even mentioned. Spiritual abominations such as papal supremacy, the mass, infant baptism, baptismal regeneration, and Mariolatry were entirely ignored. Jude 3 was despised and Romans 16:17 completely disobeyed for the sake of building the one-world church through contemporary Christian music. In July 2016, popular CCM artists demonstrated their radical ecumenical philosophy by participating in “Together 2016” in Washington, D.C. Pope Francis delivered a video message to the crowd. The “Papa” was joined by Hillsong United, Kari Jobe, David Crowder, Kirk Franklin, Jeremy Camp, Lacrae, Michael W. Smith, Passion, Casting Crowns, and Matt Maher (Catholic CCM artist). As we have documented in The Directory of Contemporary Worship Musicians, CCM is permeated with Roman Catholic contemplative prayer mysticism. Churches that use contemporary worship music are building bridges to the one-world “church,” and I can’t think of a more dangerous practice. This is one reason why we warn that churches that use contemporary worship music will be emerging within 20 years. “A little leaven leaveneth the whole lump” (Galatians 5:9).